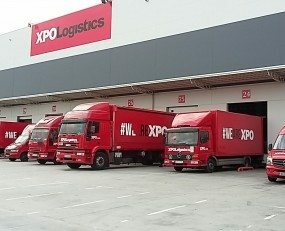 XPO Logistics has announced improvements to its North American and European LTL networks. In its home market of the US, it will invest approximately $90 million in 770 new tractors in 2018. In France, it is adding 1,500 sq m of platform capacity. The new tractors will have 15-litre engines and 12-speed transmissions, replacing models with 13-litre engines. The larger engine is expected to offer a more optimal blend of performance, fuel economy, emissions characteristics and engine life, given the load profile of the company’s LTL network. The units will also feature the latest safety technologies, including lane departure warning systems, adaptive cruise control and collision mitigation systems to assist drivers. XPO’s new French site has officially opened in Ussac, replacing an older LTL facility. XPO now has 3,100 sq m of LTL capacity and 27 cross-docking stations in Ussac, as well as an adjacent truckload centre. Operated by a 55-person team, the new platform is capable of processing 1,700 pallets per day, ensuring timely collections and distributions in the region. In addition, the increase in capacity gives shippers more flexibility in managing business peaks and fluctuations in volumes. The site is also equipped with a semi-automatic truck rigging system.